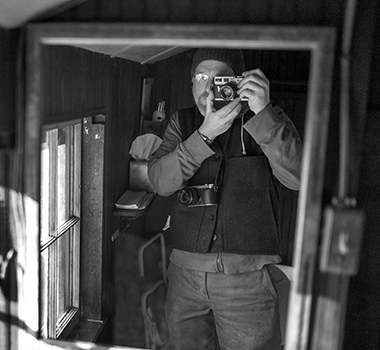 Andrew Hogan is a fine art photographer in the social documentary tradition living in New Haven, Connecticut. He studied photography with Jerome Liebling at Hampshire College, Bill Burke at The School of the Museum of Fine Arts Boston, and Larry Clark while a visiting artist at NYU Tisch School of Arts. Andrew is a recipient of a Connecticut Artist Fellowship Grant. He has taught photography to inner city children in both New Haven and Waterbury, Connecticut and has headed a program teaching photography as a tool for self empowerment to Waterbury adults affected by HIV and addiction. While he has photographed Haiti after its devastating earthquake, Europe and the American West over decades, Israel and Bethlehem across the wall, the production of sugar in Costa Rica and the agrarian movement in Vermont among many other things, photographing his personal life -- his wife, his two children (artists themselves) and his home-- continually proves to be the most difficult but most rewarding of subjects before his lens.